The perfect introduction for the novice astronomer, this book stirs the imagination and puts observation in a framework of social activity and personal adventure. 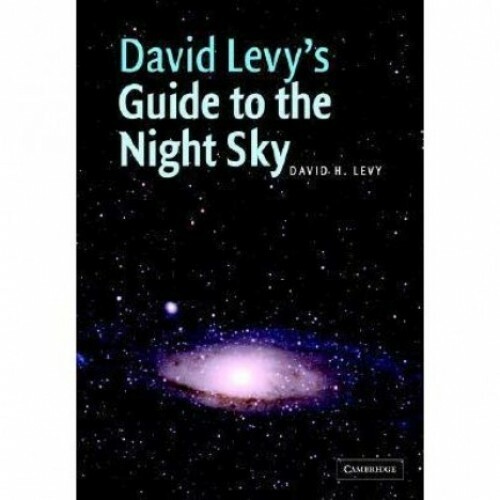 Written by an award-winning astronomer, it is a technical guide to the sky, full of helpful practical hints. The author’s lively style engages, entertains, and informs. Newcomers will learn how to enjoy the Moon, planets, comets, meteors, and distant galaxies observable through a small telescope. Levy describes the features of the Moon from night to night; how to observe constellations; how best to view the stars, nebulae, and galaxies; how to follow the planets on their annual trek among the constellations; how to map the sky; how to find a new comet; how to buy or even make a telescope; what to see in a month of lunar observations or a year of stellar observation; and much more.